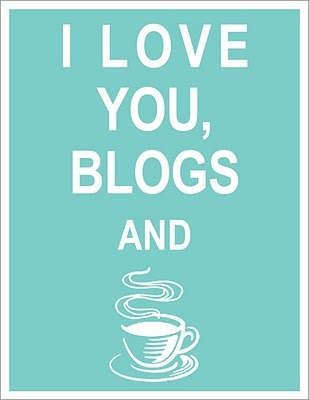 I read a lot of blogs. I think I'm actually addicted to reading blogs as much as I am to writing them. I've sorted my favorite blogs out for you by category because I realize people have different interests! Enjoy these blogs of note, they are all worth taking a look at. The Random Writings of Rachel: Rachel is one of my favorite blogging friends. She shares weird fashion posts, strange and funny stories, and many random thoughts. I find myself giggling all the time reading her posts and I even read them to my husband. Delirious Rhapsody: She's funny, fashionable, and amazing. I love this women's "Gage says" posts (about the silly things her 5-year-old says) and she is honest and straightforward. Wifessionals: This girl blogs about marriage and life, as well as offers a ton of giveaways. The reason I read her is for her recipes, though! I've made a few of them and they are a hit with both myself and the husband. Across and Down a Little Bit: I really like Misty's blog. She writes about food and family also, but the thing I find myself most interested in from her is clothing posts! She combines many different prints and colors, and always gives me lots of fashion inspiration. Pop Champagne:This girls fashion and dating stories are hilarious. I don't dress like her, but I can still appreciate the way she completely rocks her fashion. She has a TON of followers yet she still takes the time to comment and follow back! Elizabeth Ewing: This is another one of my good (real life) friends! I love her fashion but I mostly read her blog just to see what she is up to. Beth always goes on these wonderful adventures. She also photographed my wedding! The Country Blossom: This girl tells real stories about homeschooling, homesteading, and taking care of her family, all rooted in God! Roses and Thorns: This is my best friends blog! She writes about random things and her thoughts on spiritual matters! Ester from the Sticks: I want to be this girl. She can draw, sew, and has red hair. Yup. Girl with a Movie Camera: Her life looks so pretty. I love her photography! Oliver and Abraham's: This girl blogs about her farm animals and her etsy shop, that is just FULL of cuteness. One of my favs. My Little Mustache: I love this ladies crochet hats! They are amazing and cute and I can tell she has the heart of a servant. Are there any blogs that you think I should read? What are your favorite blogs? Leave me a note and I promise I'll check it out!